We've been going over all your expressions of interest to participate in our Childbirth Education Course. We noticed a resounding trend of queer and trans gestational parents who were really stoked about this offering AND ALSO finding the price tag to be cost prohibitive. We understand that economic injustice amongst our communities means that many of the people who need this opportunity are also facing intersectional financial difficulty. Many folks of all genders in their child bearing years are struggling with job insecurity, student debt, inflated housing costs and wages that haven't followed inflation. Trans folks as a population group are statistically some of the most highly educated and drastically under employed folks, and especially when compounded with intersections around race, class, ability; many of the pockets of those we wish to serve are dry. Access is important to us. We want folks who need this type of customized learning opportunity to be able to access it. We also need to ensure that our own basics are met when we show up to do this work. We have observed a growing attention and stand for inclusion of trans and queer gestational journeys from the mainstream, and all corners of the birth world. We are seeking support from our community members and allies who believe in what we are doing so we can offer scholarship to everyone who needs. If you believe in accessible childbirth education for trans and queer folks- please follow, share and contribute. As you all know, asking for money from our communities requires the assistance of everyone; likes, shares, reaching out directly to those you know can make a difference . . . all helps the ask reach further. Bit by bit, donations from everyone who believes in the work, we know that we can make it possible for us to remove the cost barrier to as many low-income queer and trans baby growers as possible. 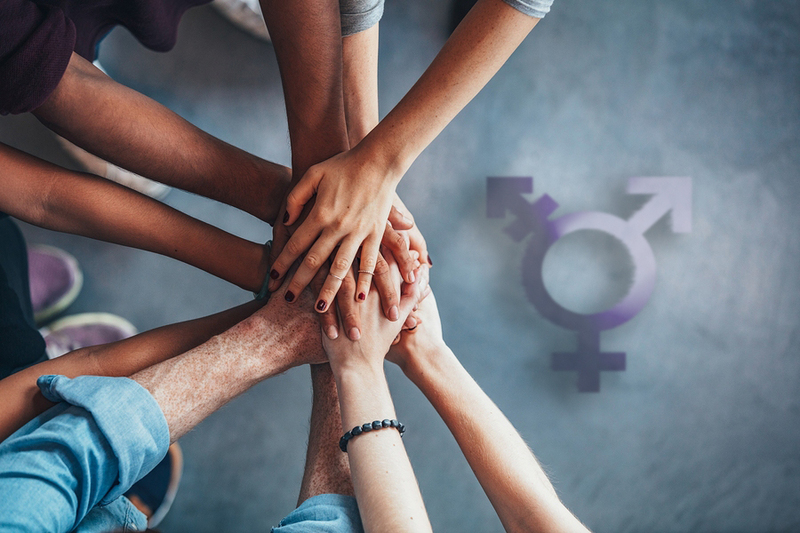 We are also be re-visioning our offerings for service providers looking to improve their capacity to care in culturally relevant ways to queer and trans clients. Please be in touch if you are service provider and looking for ways to engage with this material. 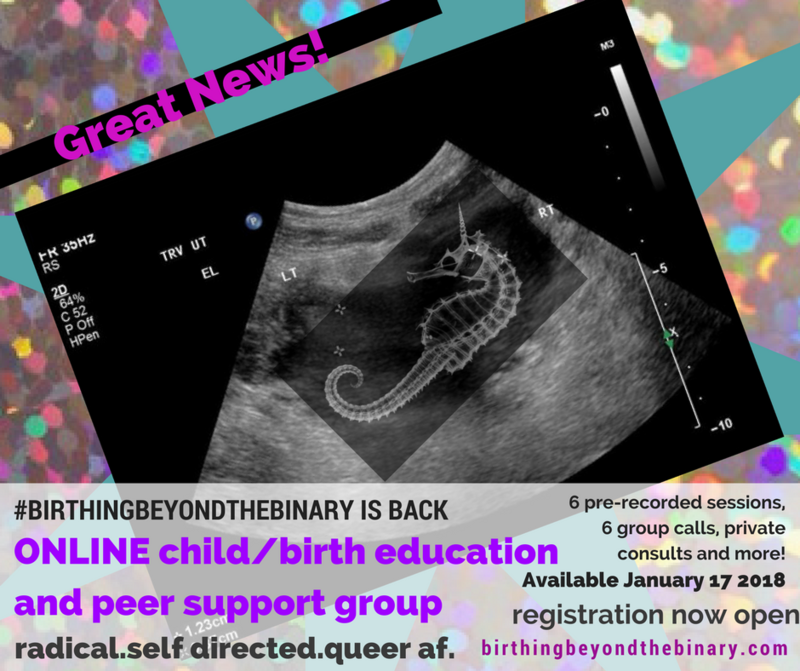 If you are not already a member of Birthing Beyond the Binary on Facebook, get on there and set your following settings so that you stay up to date with developments as they roll out. Please stay tuned, share the donation page, and when the crowd fund asks cross your desk top, send them wide and far. Much Gratitude.